SINGAPORE, June 21, 2018 – UMITRON PTE. LTD. (Location: Singapore, Co-founder / Managing director Masahiko Yamada, hereinafter Umitron) announced that it had raised $11.2 million SGD on 8 June as the first enterprise equity finance. The financing is a co-investment by Innovation Network Corporation of Japan, D4V(Design for Ventures) participated by IDEO, and angel investors. Source: Green Science Alliance Co., Ltd.
KAWANISHI, Japan, June 6, 2018 – Quantum dots are extremely small fluorescent nanoparticles which is composed of between 10 to 10000 atoms and 1 to 9 nanometers in diameter. They are so small that one cannot see them with a typical microscope. Despite its size, we cannot ignore the effects resulting from this extremely small size of these nanoparticles. The electronic characteristics of quantum dots are determined by their chemical composition, size, and shape. TOKYO & NEW DELHI – NTT DATA Corporation (TOKYO:9613), a global IT solutions provider, and MapmyIndia, India’s leading digital mapping, navigation and location technology company, announced today that they have partnered to develop India’s first large-scale 3D map datasets, named AW3D India. The joint undertaking will deliver unrivaled digital-elevation datasets on a fast, cost-effective basis, combining NTT DATA’s expertise and international experience in mapping and 3D technologies with MapmyIndia’s two-plus decades of experience in mapping the Indian terrain. 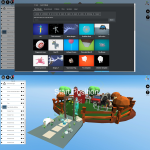 Source: Psychic VR Lab Inc.
TOKYO, Feb. 7, 2018 – Psychic VR Lab Inc. (Head office: Shinjuku-ku, Tokyo, Representative Director: Masahiro Yamaguchi) provides a VR creation and distribution service, “STYLY (https://suite.styly.cc).” A drag-and-drop, cloud and browser-based VR development service that requires no coding, it serves as a gateway for anyone with an imagination to develop VR content. ORANGE COUNTY, Calif., Jan. 4, 2018 – Spectratech Inc., a Japan-based research and development organization, has created a series of Functional Near-Infrared Spectroscopy (fNIRS) devices that tout increased connectivity and monitoring capabilities. Their innovative new OEG-APD series instruments have been developed for encephalography to measure chemical changes in the brain such as hemoglobin levels and apparent arterial oxygen saturation in the frontal lobe. Spectratech is comprised of medical leaders from all fields of medical equipment, however is focused on optics, high frequency, and image data processing. Spectratech is evolving the technology used in the core of brain mapping. DURHAM, N.C., Nov. 9, 2017 – Alcami, a leading provider of custom end-to-end development and manufacturing services for the pharmaceutical and biotechnology industries, today announces it has finalized manufacturing and quality agreements with Solasia Pharma, K.K. (TSE: 4597) for the clinical supply manufacture of the active pharmaceutical ingredient (API) darinaparsin, a novel mitochondrial-targeted agent developed for the treatment of various hematologic and solid cancers. 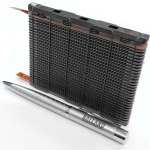 VANCOUVER, Sept. 12, 2017 – Ballard Power Systems (NASDAQ: BLDP; TSX: BLDP) today announced that the Company has collaborated with Nisshinbo Holdings (“Nisshinbo”), an Environmental and Energy company, to develop a Non Precious Metal Catalyst (NPMC) for use in the world’s first commercialized NPMC-based proton exchange membrane (PEM) fuel cell product. Nisshinbo and Ballard have jointly collaborated on the development of NPMC since 2013. TOKYO, Sept. 13, 2017 — Infostellar, developer of a cloud-based satellite antenna sharing platform, announced today a $7.3 million Series A investment, led by Airbus Ventures, with additional funds from WERU Investment, D4V, Sony Innovation Fund, and existing investors, FreakOut Holdings, and 500 Startups Japan. This financing will be used to fund the launch of Infostellar’s flagship platform, StellarStation, expand its network of partner antennas, and hire additional talented team members. 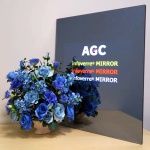 Tokyo, March 25, 2015 – Asahi Glass Company (AGC), a world-leading manufacturer of glass, chemicals and high-tech materials has released a new infoverre™ product “infoverre™ MIRROR” as an interior product for residential and commercial facilities. This new product will bring solutions to unique design needs in the world. Source: Toppan Printing Co., Ltd.
Toppan Printing Co., Ltd. (hereafter Toppan Printing; Head office: Chiyoda Ward, Tokyo; President & Representative Director: Shingo Kaneko) has developed a copper touch panel module with which the use of copper wiring and a high-rigidity plastic cover resistant to bending and impacts has enabled a significant decrease in weight and an ultra-narrow bezel. This means that the product can be smaller, maintaining the same screen size while enhancing the possibilities for innovative design. Sample shipments will begin in mid-July 2015, predominantly targeting use in tablets and notebook PCs. TANEGASHIMA, Japan (Kyodo) — Japan successfully launched Thursday morning a rocket carrying a backup optical satellite for the government’s intelligence gathering program. Japan has commissioned the Self-Defense Forces’ largest destroyer, the Izumo. A ceremony was held on Wednesday at a pier in Yokohama City, near Tokyo, to mark the handover of the vessel from its manufacturer to the Maritime Self-Defense Force. Japan Display to Build $1.4 Billion LCD Plant in Ishikawa Pref. TOKYO, Japan, March 6, 2015 – Japan Display Inc. (“JDI”) today announced that it has decided to build a new Generation 6 (G6) LCD manufacturing fab in Japan to satisfy growing demand for ever-advancing displays (the “Project”). Details of the Project are as follows. The Government of Andhra Pradesh has sought Japan’s co-operation for developing a world class capital like Tokyo, and also for better cooperation in sectors like energy, infrastructure and industrial development. A Japanese firm has received an order from the United Arab Emirates to launch a satellite. Mitsubishi Heavy Industries and the UAE’s space agency signed a contract last month. Mitsubishi offers launch services using the nation’s mainstay H2A rocket.